My sister lives in Wisconsin and to be honest with you, I have no idea why! Everyone has been hearing about the winter in the US this year and of course the now infamous Polar Vortex. Since the beginning of December she has been freezing and I have been cheekily snickering over here in Vienna basking in the mildest winter that I can remember here. I should have known not to test fate like that. This past Sunday the temperatures dropped below freezing and for the first time this season I was quite chilled. Much to the delight of my son it started to snow on Sunday and on Monday he was making snow angels with squeals of joy. The cold snap which we are currently experiencing is supposed to have me craving my big warm cuddly perfumes full of amber, vanilla or incense. As mother nature would have it though, this winter has been filled with sunshine, almost spring like temperatures and confused plants and animals. In fact, this past weekend we saw a small bush with pink buds opening up. So when I woke up on a bitter cold morning I went against convention and pulled out Ramon Monegal’s Pure Mariposa. The packaging alone, with all of the colourful butterflies, will make me smile every time I see it. 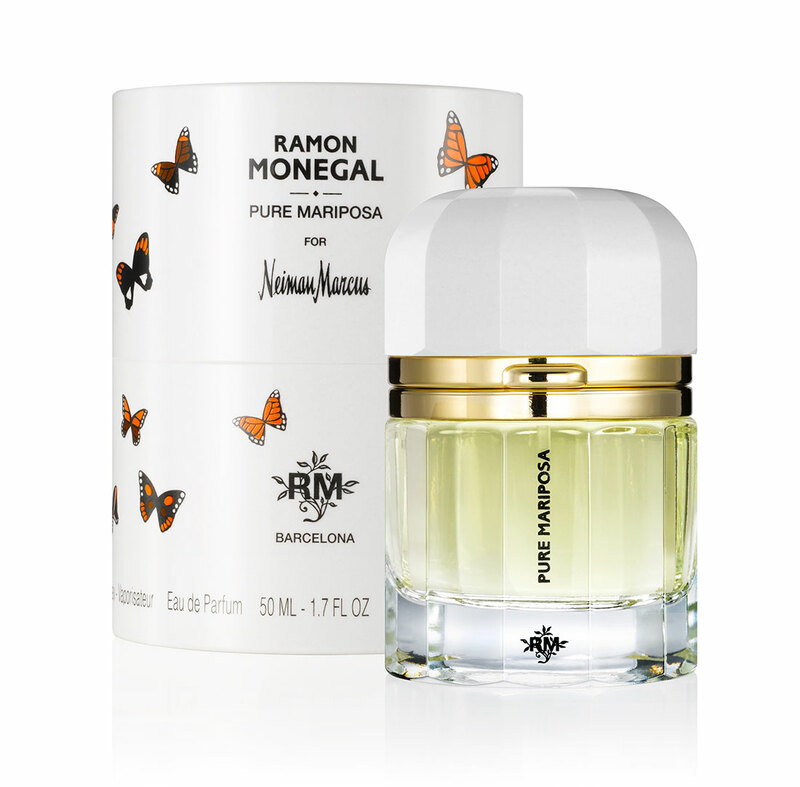 Pure Mariposa was created by Ramon Monegal and includes notes of: orange, grapefruit, bergamot, yuzu, black currant, plum, calone, oakmoss, grass, fig, osmanthus, lily-of-the-valley, jasmine, taif rose and tuberose, sandalwood, cashmeran, iris, patchouli, peach, tonka bean and amber. Pure Mariposa was created exclusively for Neiman Marcus in the US. It became available at Bergdorf Goodman later in the year and I sure do hope that Ramon Monegal will make this perfume available here in Europe soon. I get a lot of bitter citrus notes at the beginning. It is full of bitter orange peel, grapefruit and yuzu. The bitter orange peel lasts only about 15 minutes on me and then it remains citrusy for about 45 minutes. 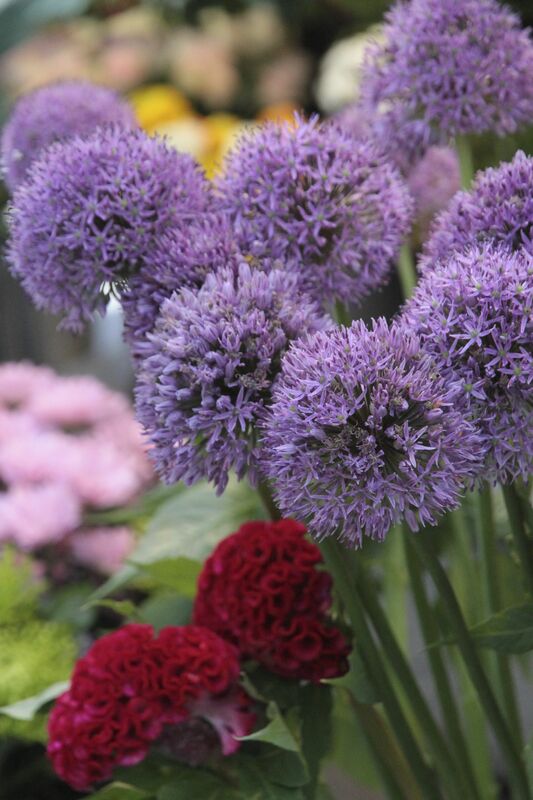 The florals start to come forward and I find them so delicately balanced that I cannot pick out the individual notes. The dry down is where I am surprised. I was expecting this perfume to have little development and projection. But what I get is a smooth creamy sandalwood, amber and what I believe to be cashmeran cloak in the end. Pure Mariposa is sublime in its ability to enclose me in its warm embrace. Snow or not I will be wearing Pure Mariposa to brighten my winter days. 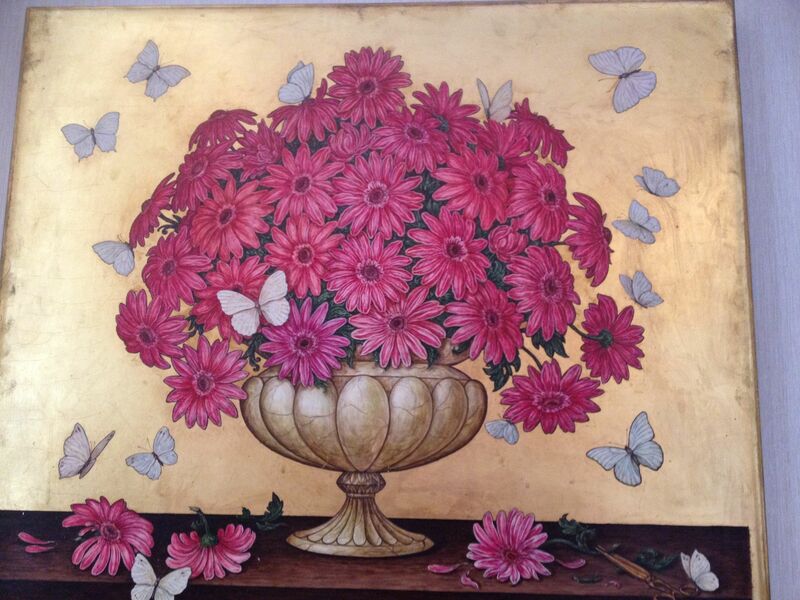 When I wear the perfume I am reminded of the beautiful painting in our room in Rome last year of butterflies caressing the pink flowers. It is a truly colourful perfume. Colour is just what I need right now and the best way to get colour is to dream of my walks in the springtime here in Vienna surrounded by all the colourful flowers that Mother Nature has to offer. My dreaming can be enhanced with a cloud of Pure Mariposa. This entry was posted in By Sandra, Floral, Fragrance Reviews, Fruity, Ramon Monegal and tagged floral, Fragrance, Neiman Marcus, Perfume, Pure Mariposa, Ramon Monegal, Review. Bookmark the permalink. I wish I could be there to do Snow Angels with your little man. We would be squealing like piglets and laughing. This Monegal was not even on my radar till we got together last week but now……. Sandra, We had a super day at First In Fragrance. I have your samples and will pass them to Val in London. Could somebody make me a yuzu cologne, pretty please ??? I think a yuzu cologne would be wonderful! Do you like Yuzu Fou? Seriously though, just smell it for the bitter orange and yuzu. But if you do not like white florals then it might be too much for you. I love yuzu and even made a yuzu cologne for my son, so I must try this! I like RM’s work, and this perfume in particular has had some excellent reviews. My sisters are freezing away in Wisconsin, too! How nice that you made a yuzu cologne for your son! Pure Mariposa would do our sisters good. I really feel for them. I am enjoying RM’s style of perfume very much indeed. I really like Ramon Monegal Barcelona scents and Ambra di Luna is my favourite. How would you compare Pure Mariposa and Entre Naranjos, of course if you know that one? Ambra di Luna and Impossible Iris are on my to buy list. The RM line is very good. i unfortunately do not know Entre Naranjos so I cannot give you a comparison. Sandra, I have a (extra) bottle of Ambra di Luna for sale (brand new) at a good price. Are you interested? Hi Lukas, would you mind sending me an email – through Birgit? Birgit – if you don’t mind? I know Entre Naranjos and the two do not compare at all. EN is a citrus cologne-type fragrance, Mariposa is a rich and powerful floral. Sandra, I love it when a fragrance like this is so well constructed that you get very distinct top, middle and base phases as it develops. Amouage are also good at that. It’s such a let down when a perfume starts off great and then fades into nothingnesss. Tara, Amouage does a great job with that. Have you tried any Ramon Monegal fragrances? Monegal is one of the latest great outbreaks worth to mention and worth to explore. I love his Mon Cuir and Entre Narnjos. These two couldn’t be more different but each serves different need. I wore Entre Naranjos many times when I wanted to feel confortable, easy going and in warm weather or just to give mi some mood uplifting. I also like Impossible Iris, but Mon Cuir is for my soul ;-). On general I think it is worth exploring the whole line. I could not agree with you more about exploring the line. I will surely seek out a sample of Entre Naranjos for the summer months. Impossible Iris is just lovely.